1. Except the top floor , each floor has a spare parking space and front rear guide rails. 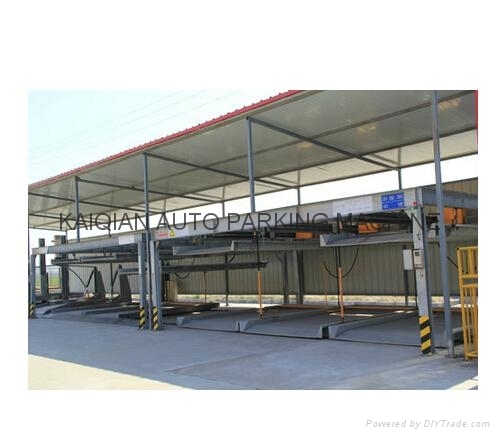 2. each parking space has a pallet which moves horizontally on the guide rail . 3. the top floor pallets make up-down movements . 4. the ground floor pallets make lef-right horizontal movements . 6. through continous space shift , parking and fetching a car can be realized .